In Downey v Western Community College Area, 282 Neb. 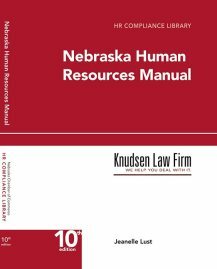 970 (2012), the Nebraska Supreme Court recently held that, because Workers’ Compensation is the exclusive remedy against an injured employee’s employer, a third party tortfeasor cannot seek contribution from or argue the comparative negligence of the employer when the third party tortfeasor is liable to an injured employee. In Downey, the injured employee, Downey, was injured while working on a scoreboard at a community college. He received Workers’ Compensation payments from his employer, the sign company. He then sued the community college for negligence. The community college claimed that the employer was also negligent and tried to seek contribution from the employer. The Court held that, due to the exclusivity of Workers’ Compensation, the employer was not liable to Downey in tort. Since the employer was not liable to Downey in tort, the community college, a third party tortfeasor, could not seek contribution. Importantly, the Court did explain that its decision in Downey did not apply to indemnity. Indemnity will be allowed against an employer who would be immune from suit in tort because indemnity and contribution are distinct concepts.